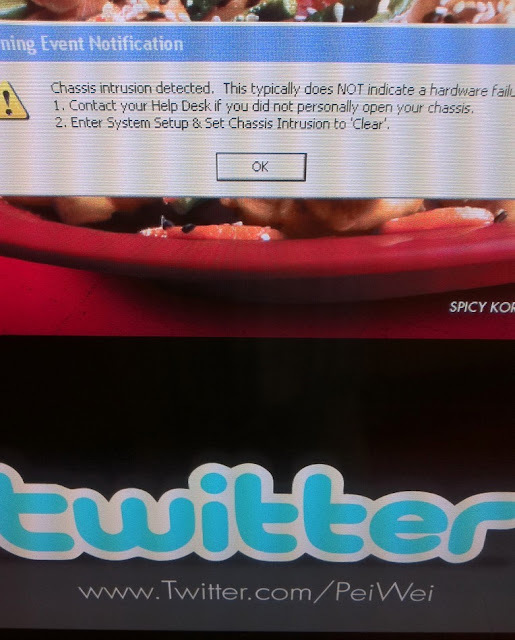 @brianarn tweets: I tend to enjoy random error messages on signs in restaurants etc. Haven't seen this before though. Seems this PeiWei menu board computer wears a chastity belt.